A thought-provoking thriller about a very real threat to the essence of life: water. You’ll be forced to consider how you’d react if you were cornered and trapped in a terrifying life-threatening situation. Fed up with the eight-year drought, Jake Bendel and a cunning team of experts create a five-plant desalination system -- all powered by environmentally-friendly molten salt reactors -- providing clean, healthy drinking water to millions of thirsty Californians. But the dark side of humanity sees this as a chance for revenge against the United States. A familiar genius weaponizes the system and devises a scheme to kill more Americans than the 407,000 + U.S. soldiers killed in World War II. The clock is ticking. 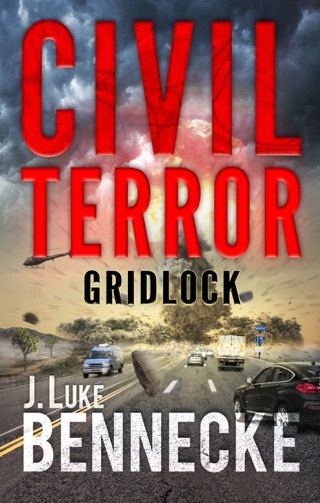 Can Jake and the FBI stop the terrorists in time before more innocent people are murdered in the name of the Jihad? 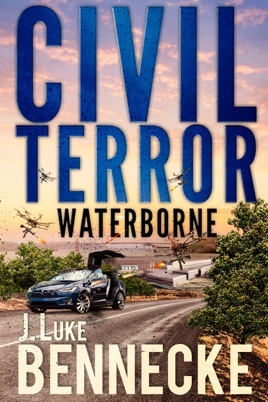 Civil Terror: Waterborne will grab you by the throat and pull you into a vicious struggle that will define the fate of the world for generations to come. If you like Dan Brown, Lee Child, or Jon Grisham, you’ll love J. Luke Bennecke.